Performance testing is critical in the development cycle of any software application, especially when considering future iterations and updated releases. At every step of the agile process, performance testing needs to be a priority for both developers and testers. Therefore, it’s very important to understand how to properly integrate such testing in an agile workflow. What sorts of issues are commonly faced during Performance Testing? Given the constant pressure of deadlines in our era of smartphones and rapid technological obsolescence, there’ll be a number of issues to deal with. The essence of this kind of testing is the emulation of real world behavior and the subsequent evaluation of how the application responds. In both new and legacy systems, accurate modeling of user behavior is a major obstacle in the development process. It’s also fairly difficult to rely on data generated in limited test environments, when predicting app performance in more multi-layered, complicated, and dynamic scenarios. 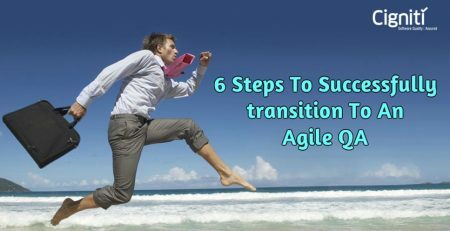 The market demands higher quality apps in ever shortening time periods, so organizations are sufficiently motivated to adopt the Agile methodology in their app development process. In a waterfall model, performance testing tends to be conducted at the very end of the life cycle, but when it comes to the agile process, the exact opposite takes place; performance testing is implemented right at the beginning, in the earliest stages of the app design. This makes perfect sense – the design itself determines the function and potential robustness of the app, so integrating performance testing from the outset ensures that app quality and behavior is assessed and verified from start to finish. Analysis, design, coding, and testing all take place simultaneously. On Demand: This is the general starting point for organizations that want to fuse performance testing with agile processes. To put it briefly, developers need to be fully responsible for testing and tuning at all levels, under the supervision of a dedicated tester who takes care of performance evaluation. On Retainer: In this model, a tester is assigned to every app development project, who is not wholly committed to each task, but is on standby whenever developers require deeper technical assistance or bug resolution. Full immersion: This model is for companies that are serious about the delivery of quality apps, and that has now dedicated themselves to perfecting their performance testing. 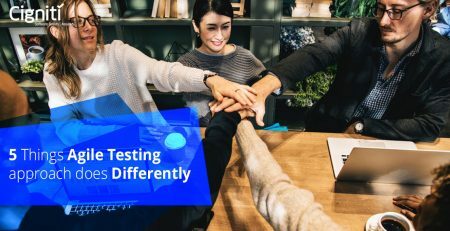 Testers are designated full time to monitor and verify each stage of development, and also to manage and orchestrate all the performance testing activities from beginning to end. 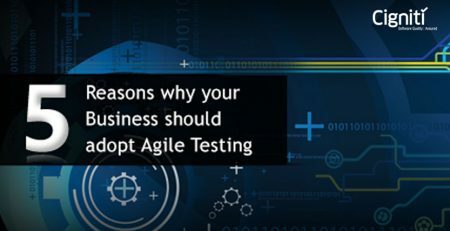 Get in touch with Cigniti’s Agile Test Specialists who can guide you well on Agile Performance testing and on the realities of agile testing and help you truly realize the potential of an agile environment. Contact us today.